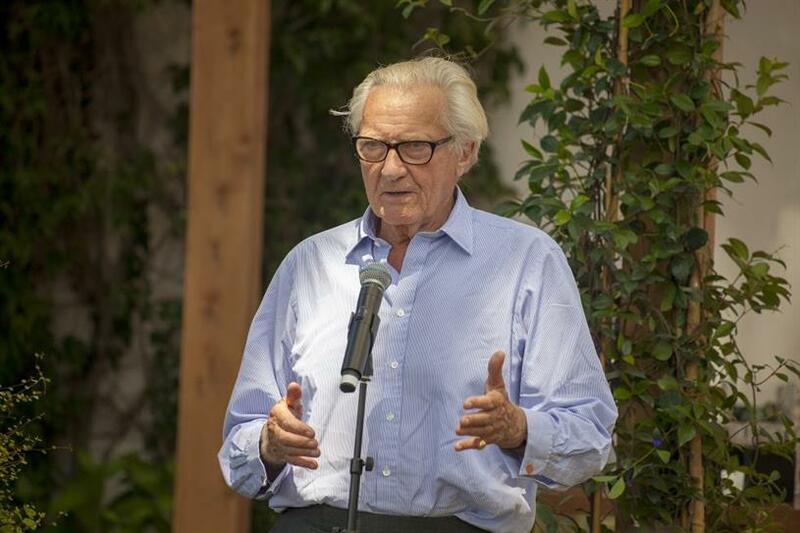 Lord Heseltine hailed Campaign as "iconic", "a source of huge pride" and "a statement of everything we value as publishers" as he celebrated the magazine's 50th anniversary at Cannes Lions. "This is a very emotional occasion for me," Heseltine, the chairman of Haymarket, the owner of Campaign, told advertising industry leaders at a birthday lunch at News UK's chateau in Cannes. Heseltine said the anniversary celebration was "an event that I simply couldn't miss" because of his pride at how Campaign has become a global publication with editions "in many of the leading economies in the world", including the UK, Asia and America. "It is iconic. It is a source of huge pride for the company who parented it. And we see it as a statement of every value that we have as publishers," Heseltine said. He recalled how the genesis for Campaign, which launched in 1968, began eight years earlier. Heseltine and his partner Clive Labovitch bought "a really crappy trade magazine" called Man About Town, which was aimed at young, affluent men, in 1960. The new owners "were obsessed by quality" and transformed the title, which they renamed Town, into "a visual product that was the equal to anything in the world in terms of design and photography and editorial quality". While Haymarket retained a significant stake, the remaining shareholding changed hands twice and the publisher ended up becoming an enlarged group with "dozens of crappy magazines" in 1968. Lord Heseltine "arrived at a quite awful office just off the Old Bailey" to look at one of the newly acquired titles, World Press News, which he said "had no equals in terms of the paucity of its editorial and design". "I picked up a copy with Lindsay [Masters, his colleague] and said, 'Ad Age'" -- a reference to how World Press News could move onto the same turf as the US advertising title. "That was my only contribution," Heseltine said. "Three months later, Campaign replaced World Press news." Looking back on the last half century of Campaign, he said it has been "a fantastic experience" and his family "treasure" the ownership. He concluded: "100 years from now, I hope the reputation will be wider but as illustrious as it is now." Campaign will host further 50th anniversary celebrations in the autumn.